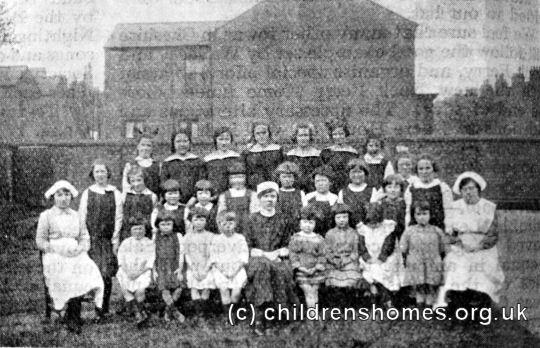 The Greenheys Orphanage and Training Institution for Girls was established in the 1870s at Greenhill Street, Greenheys, Manchester, with its aim being 'the rescue of orphan girls from a state of poverty and their maintenance until they are of an age to earn.' The girls were taught sewing and domestic work with most eventually employed as domestic servants. 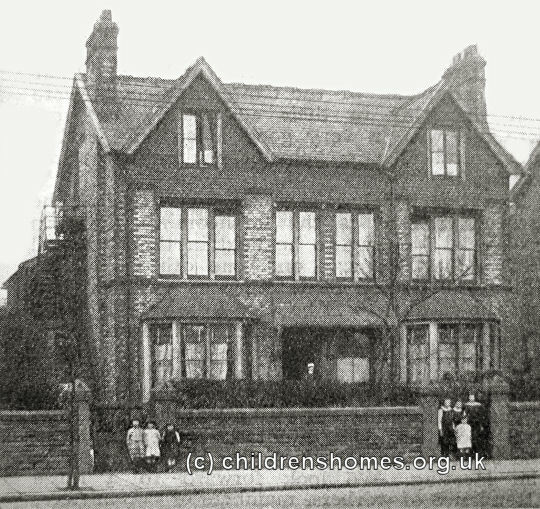 On December 1st, 1883, new premises for the establishment, at 34 Upper Chorlton Road, Whalley Range, were opened by the Mayor of Manchester, Mr Philip Goldschmidt. The cost of the property had been paid for by Manchester industrialist John Galloway, whose wife, Mary, who had been a moving force in founding the institution. The new home was said to be 'a cheerful, well-lighted, commodious building' with a playground and lawn. In 1910, the home was taken over by the Waifs and Strays Society. 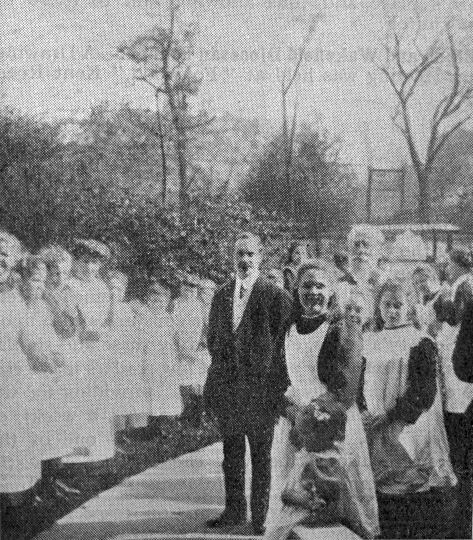 At its official dedication on May 6th, 1911, the home was renamed the Galloway Home for Girls in recognition of the many years of support it had received from Mary Galloway. The new building could accommodate 20 girls aged from 6 to 13. 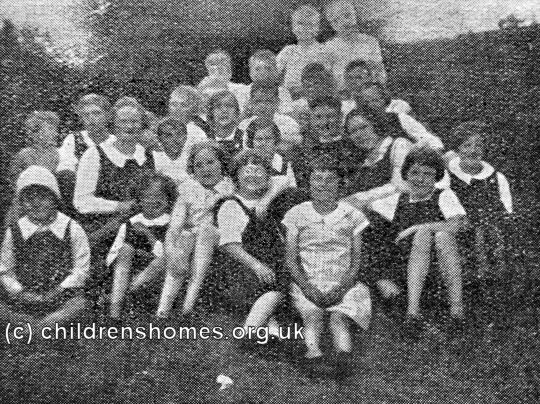 Children at the Society's homes usually had a summer holiday, sometimes doing an exchange visit with children at another home. 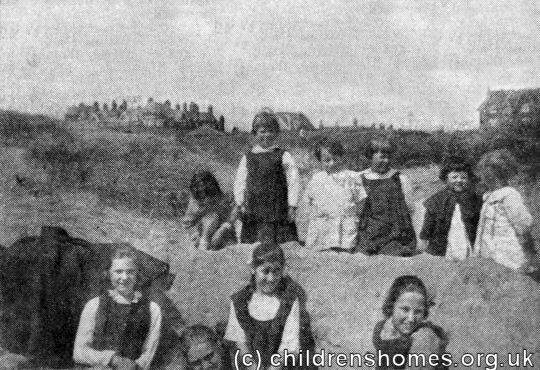 A regular destination for the Galloway Home girls was St Annes on Sea, near Blackpool. 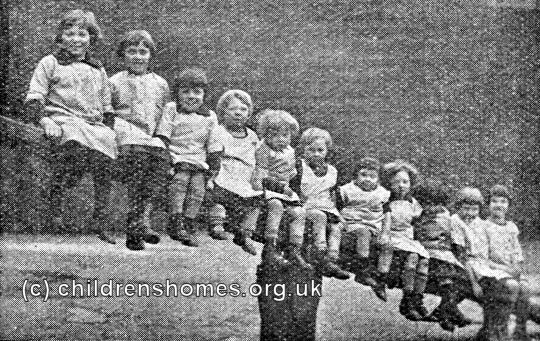 The home closed following the outbreak of the Second World War in 1939. the girls were initially evacuated to Bowdon, near Altrincham. The following year, after Bowdon had been judged to lack adequate air-raid defences, the girls briefly returned to Whalley Range. They were then transferred to the Ashleigh Home near Bolton and again, in 1947, to the Victoria Home at Formby, near Liverpool. The Whalley Range building no longer survives and modern flats now occupy the site.